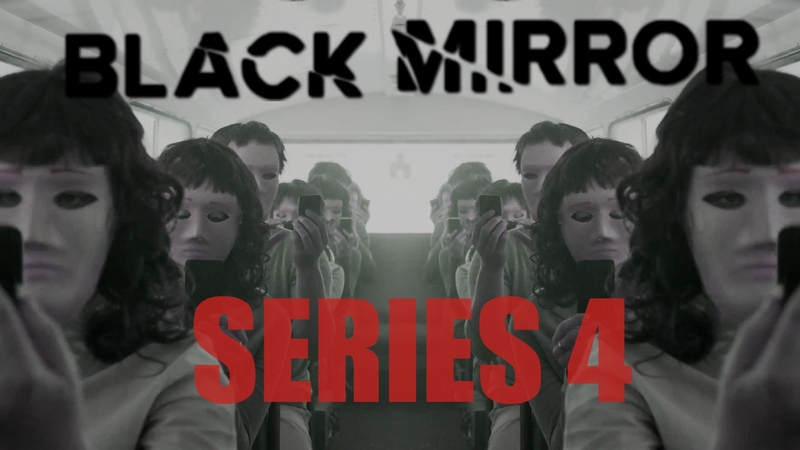 The upcoming season of the Netflix/Channel 4 series, BLACK MIRROR, is right around the corner and we’ve been gifted with the teaser trailer. Instead of giving away clues about the plot of the episodes, the trailer releases the title for all 6 episodes. While an official release date hasn’t been announced, it’s rumored to debut on Netflix this October. Series creator, Charlie Brooker, recently said in an interview, “When we did previous seasons, we realised after we’d done the first two that basically each one was a slightly different genre, and we actively approached the first Netflix season like that,” he told The Telegraph. “And we’re carrying that forward [into season four], so we’ve got some strikingly different tones and looks. “We’ve got one that’s overtly comic, much more overtly comic than anything we’ve done. It’s got fairly mainstream comic elements, but also some really unpleasant stuff that happens. I haven’t even seen the rough cut of it yet. The first 3 seasons are some of the finest hours of television I’ve ever witnessed so I’m really looking forward to the new season. Until then, I’ll have to settle for the frantic teaser below. Previous Did y’all know that Hatchet 4 is a thing?